Border controls in Europe currently can hold up the movement of troops and equipment up to 30 days. BRUSSELS – Wary of a belligerent and unpredictable Russia, NATO is expanding its operations for the first time since the end of the Cold War and drawing up plans to improve the way the military alliance commands and deploys its forces. 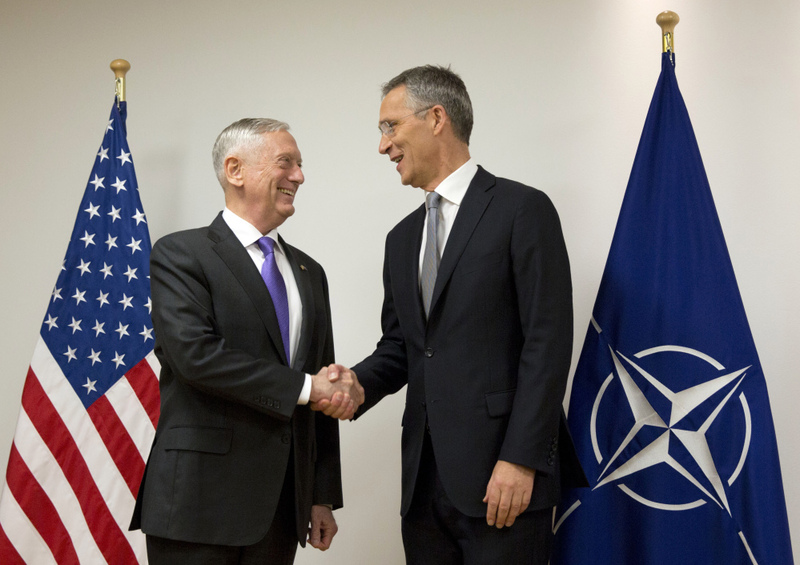 NATO defense ministers were set Wednesday to endorse a scheme to create two new commands: one to protect sea lanes ferrying troops and equipment across the Atlantic from the United States, the other a logistics command to supervise troop movements in Europe. “We need a command structure which can make sure that we have the right forces, in the right place, with the right equipment at the right time,” NATO Secretary-General Jens Stoltenberg told reporters Wednesday before chairing the meeting in Brussels. He said the move will boost military mobility, provide better protection for sea lanes in the Atlantic and improve awareness among the 29 NATO nations of security threats in the Euro-Atlantic area. At the end of the Cold War almost 30 years ago, around 22,000 personnel were working at 33 commands, but numbers have been slashed to fewer than 7,000 people and seven commands. NATO allies have stationed around 4,000 troops in the Baltic States – Estonia, Latvia and Lithuania – and Poland to reassure them that the alliance stands ready to defend their borders against neighboring Russia. The move came in response to Russia’s annexation of Ukraine’s Crimean Peninsula in 2014. Stoltenberg has been coy about where the new regional command centers would be based – he says the plan will be fleshed out next February – but he has noted Germany’s central geographical location in Europe, suggesting that it could be in the running for one. Poland is another possibility. Portugal, Spain or even the United States might be considered for the Atlantic command. One key factor holding up troop movements in Europe is border controls between the various nations. Russia has few border obstacles to contend with and can deploy its forces virtually at will. NATO commanders are appealing for red tape to be cut. Officers have said that transit and transport requests need to be submitted up to 30 days in advance in some cases. “We agree in the necessity of being able to deploy forces rapidly in Europe and find it unacceptable that bureaucratic behavior at borders should prevent a military action,” Danish Defense Minister Claus Hjort Frederiksen told The Associated Press on Tuesday. David Keyton in Helsinki, Finland contributed to this report.